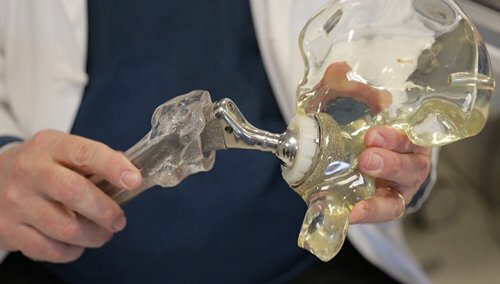 Russian scientists have begun developing a technology to create individual artificial joints for each patient using 3D printing, RIA Novosti reported in the Foundation for Advanced Studies (FPI). “Additive technologies in transplantation are a promising new direction in the work of the foundation.With the right approach, a scientific breakthrough in the direction of bioengineering of artificial joints and organs can occur in the next decade,” the organization noted. Now there is a search for scientific teams and specialists who will be able to apply additive technologies for the production of personalized transplants. A detailed discussion of the possibilities of using this type of technology in transplantology will be held in early October at a scientific seminar to be held at the FPI. The Foundation for Advanced Studies was established in 2012 to promote research and development for the defense and security of the country. Activities are carried out in three main areas – chemical and biological and medical, physical and technical, information. At the end of 2015, the National Center for the Development of Technologies and Basic Elements of Robotics was created in the FPI structure. Now the fund is working on more than 50 projects, for them more than 40 laboratories have been created in leading universities, research institutes and defense enterprises.